Days of delays and cancellations on Northern rail services prompted a furious response that stung the Government this week. Rob Parsons reports. It was a week when the resentment felt across the North about the decades of under-investment in its transport system burst out into the open for all to see - and even the Prime Minister had to pay attention. Late on Monday night the front page of The Yorkshire Post and 24 of its northern counterparts, calling on Theresa May to end the rail chaos engulfing the region, were shown front and centre on national news programmes as they were sent to the printers for the following day. The palpable anger - and the sense of purpose among traditionally rival titles - was unmistakeable and prompted a quick response from the Prime Minister as she met with her Cabinet on Tuesday morning. The widespread delays and cancellations still being faced by Northern passengers as a result of the botched introduction of a new timetable were “absolutely unacceptable”, her spokesman said, adding that beleaguered Transport Secretary Chris Grayling had been told “to get to grips with this issue quickly”. A YP graphic shows how the Northern timetable chaos unfolded. Data from the trains.im website. Mrs May sidestepped calls for an emergency summit of business and transport bosses, but insisted that the inquiry announced by Mr Grayling the previous day must find out what went wrong and ensure the misery currently being endured by the public never happens again. The news will have provided little solace to the commuting public using Northern’s services, who for more than two weeks had seen their trains cancelled or delayed by the dozen as chaos reigned at stations from Leeds to Liverpool. On Tuesday, only 75 per cent of Northern’s trains ran on time, with 167 either cancelled or more than 30 minutes late, and a further 483 at least five minutes late, ac cording to the trains.im website. Bad though this was, it represented a significant improvement on the peak of the chaos three days earlier, when a staggering 43 per cent of the operator’s trains across the North failed to arrive on time and nearly 500 trains were cancelled or very late. We delivered a base timetable as planned in November 2017. But the sheer number of changes subsequently meant that the timetable process took a lot longer than planned. 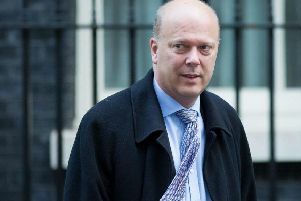 Investigations are underway to establish what went wrong prior to the new timetable being introduced on May 20, but as the fury reached its apogee on Monday afternoon Mr Grayling told a Commons debate with dozens of northern MPs that Network Rail was responsible due to its failure to deliver engineering upgrades in time. A document circulated this week by the agency, which is responsible for the nation’s rail infrastructure and co-ordinating the timetables supplied by operators, acknowledged that the failure to complete an electrification project between Manchester and Bolton in January “meant the whole of the new timetable for the North would need to be re-written”. It blamed “unforeseen poor ground conditions hampering progress” for the delays, but added that “matters were “compounded further” by the collapse of outsourcing giant Carillion and cited other changes around the country that hampered its work. The document added: “We delivered a base timetable as planned in November 2017. But the sheer number of changes subsequently meant that the timetable process took a lot longer than planned. 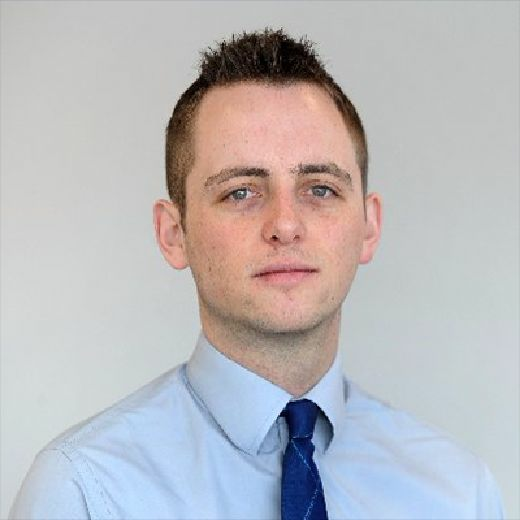 Though performance has improved in the past week as rail officials finally get to grips with the new timetables, Network Rail and Northern have issued grovelling apologies and promised a special compensation scheme, with details to be announced soon. But ironically, the end result of the fiasco could be elected northern officials - who for years have been calling for greater powers over their own affairs - getting more of a say on how services are run on their patch. Judith Blake, the leader of Leeds City Council and a member of strategic body Transport for the North, has been asked by the Government to lead a review to understand how and where decisions were made to ensure the recent chaos is not repeated in the coming weeks. A northern metro mayor has questioned whether the Government’s plans to expand Heathrow airport will put London and the South East “at the front of the queue again” for transport infrastructure investment. Andy Burnham, the Mayor of Greater Manchester, said the knock-on effect of the extra passengers at the London airport “could be that a substantial new transport infrastructure is required to cope, thereby locking in London’s claim over the future transport capital budget”. In an article for The Guardian newspaper, Mr Burnham and Richard Leese, the leader of Manchester City Council, say that in the run-up to the vote on the Heathrow expansion, the Government “needs to be pressed hard by northern MPs on its level of commitment to the Northern Powerhouse”.